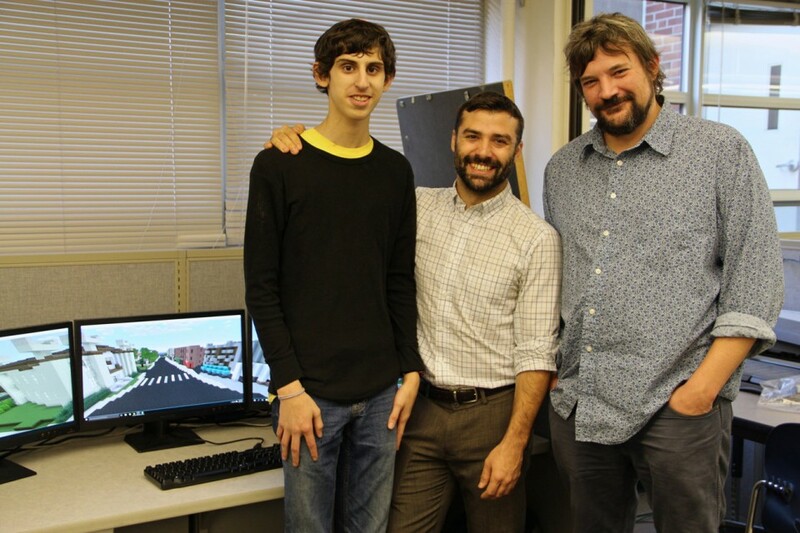 The Minecraft Northampton project’s goal is to build a replica of the City of Northampton, Massachusetts inside of Minecraft that is fully VR (virtual-reality) tourable, engaging the community itself at all levels of the experience. This is a phased project, a collaboration between Northampton Community Television, Northampton High School Technology, and the Northampton Planning Department. The first phase is the fundamental rough build-out as implemented by high school students such as Technical Director and Lead Architect Zev Seltzer. The next phase bring mores students on to begin detail level work on the world. VR implementation and public access is next, followed by opening the project to the larger community for collaborative design. In the final ongoing phase the model can be used as a stage for active conversations within the community about design choices, about aesthetics, about demographics, about itself. This functions on a number of interconnected levels as a community media project. Minecraft connects with youth, It taps into STEAM learning fundamentals in the areas of design, mathematics, engineering, and critical thinking. It connects community youth with the broader community and with the municipality. It establishes a sense of community through the process of the community actively constructing a physical model of itself. It builds and incubates a virtual space and process that encourages the community to have a conversation about itself. It educates, it creates a work of art, it is self-reflective. Northampton Community Television is a community media arts center in Northampton, Massachusetts. It’s mission is to empower expression and build community through all forms of media. Zev Seltzer, Jeromie Whalen, Al Williams. Photo courtesy of the Daily Hampshire Gazette. We are a legal street art multimedia wall, a storytelling space, an educational and economic development resource, and pioneers in community building through media arts. 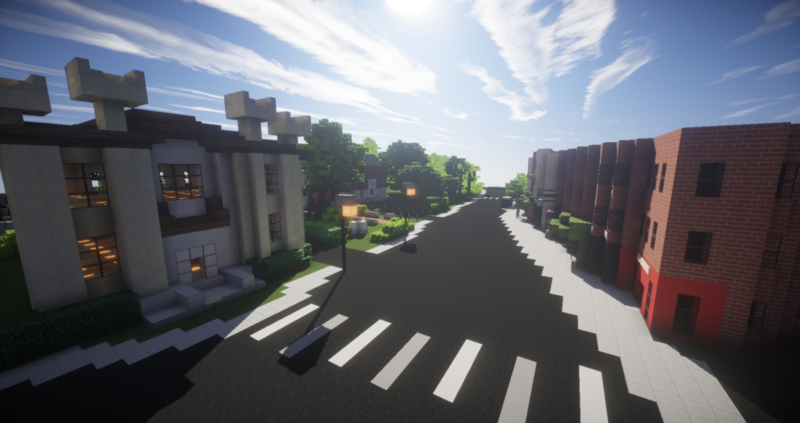 We accomplish this through a wide range of programs, one of which is the Minecraft Northampton project. The project was initially inspired by Lakecraft – lakecraft.net – a Minecraft project based on the Lake Champlain Basin. It was clear that Minecraft was having enormous connections to both youth and the world of multimedia and we were looking for ways to tap into that. Some of the core visions of our organization are in meeting the community where their passions lie, supporting the voices they develop innately, and in encouraging community building through play.